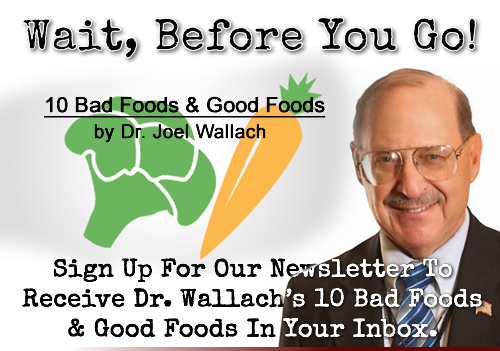 Doug Winfrey and Dr. Wallach discuss a news article about 9 foods that in the past have thought to be unhealthy. These nine foods are bananas, chocolate, coconut oil, eggs, grass fed beef, nuts, organ meats, coffee and sardines. Now it is known that these contain vitamins, minerals, fatty acids and antioxidants. With all having health benefits that promote healthy hearts and anti-cancer beneftis. Judy has tinnitis and arthritis in her knees. Bernice has two questions the first a friend with a heart murmur. Second she has another friend who is on dialysis. Heidi has kidney disease, type 1 diabetes and high blood pressure. Antoinette is a pre-diabetic with kidney disease and hypothyroidism. Bill has a friend diagnosed with Grave's disease.